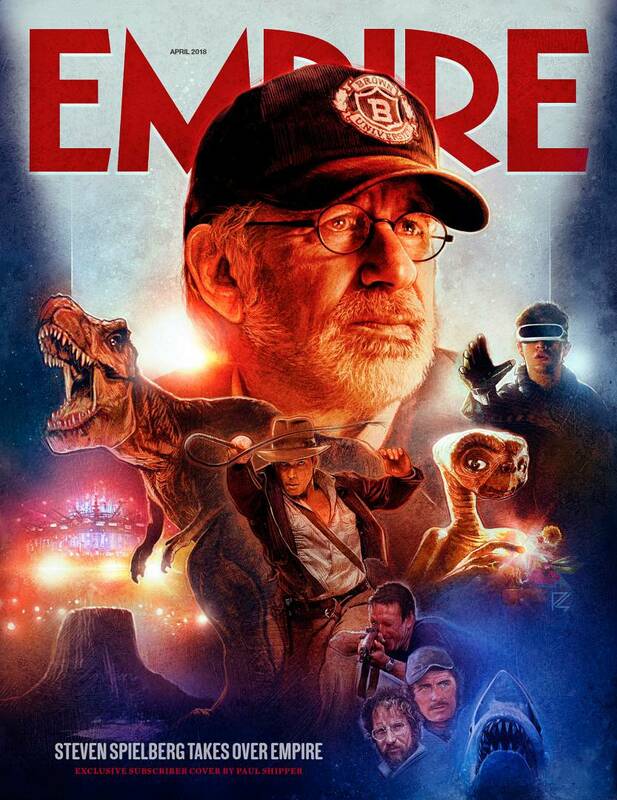 This month will see Steven Spielberg taking over the top movie magazine, Empire. To celebrate there will be a number of special edition covers featuring some of the director's movies. Jaws, E.T. The Extra Terrestrial, Ready Player One and Indiana Jones all get their own cover but the best one is saved for subscribers. The talented Paul Shipper (Who did the amazing Ready Player One poster) designed a masterpiece of a cover featuring Steven Spielberg and a number of his movies. It really captures the magic of the director and it needs to be in every fan's collection. We love it so much that we are going to give one away in our latest competition. All you have to do is answer the question below and post your answer either in the comments or on our Facebook page or Twitter page. Who wrote the novel, Ready Player One? One lucky winner will win the special edition magazine. We are making the competition available to everyone all over the world and one answer will get you entered. We will choose a lucky winner completely at random. The winner will be contacted for a mailing address and we will aim to get the magazine out within a few days of winning. We cannot substitute the prize and unfortunately we cannot be responsible for loss in the post. Closing date is Saturday 3rd March, 4pm GMT.